MANILA, Philippines - Coinciding with the global unveiling in Barcelona, Spain, Samsung Electronics Philippines officially launched the new flagship devices Galaxy S7 edge and S7 on Monday at the Philippine leg of the Samsung Galaxy Unpacked 2016 event at the Samsung Hall in SM Aura Premier, Taguig City. 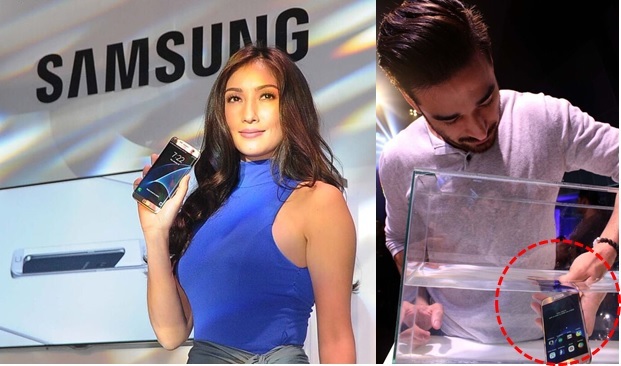 Long-time Samsung ambassador, Solenn Heussaff, is the face of the latest addition to the Samsung S line, the S7 edge and the S7. John Spainhour challenges the IP68 and water resistant feature of the Galaxy S7. Samsung Philippines also unveiled the much talked-about and highly-anticipated Gear VR virtual reality headset, and gave a sneak peek of the premium Gear S2 Classic in platinum and rose gold finish, giving the guests a triple treat of the expanded Samsung Galaxy ecosystem. 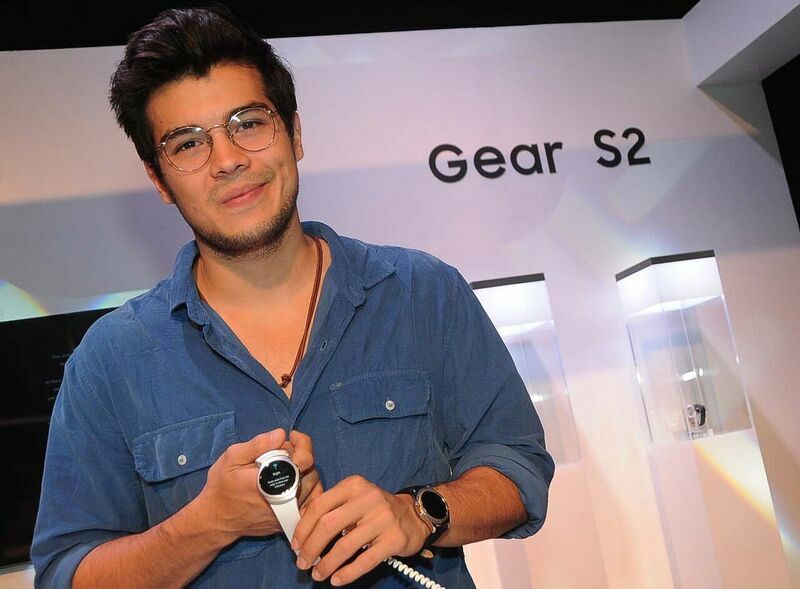 Complementing this athlete’s lifestyle, Erwan Heussaff dons the Gear S2 smartwatch. 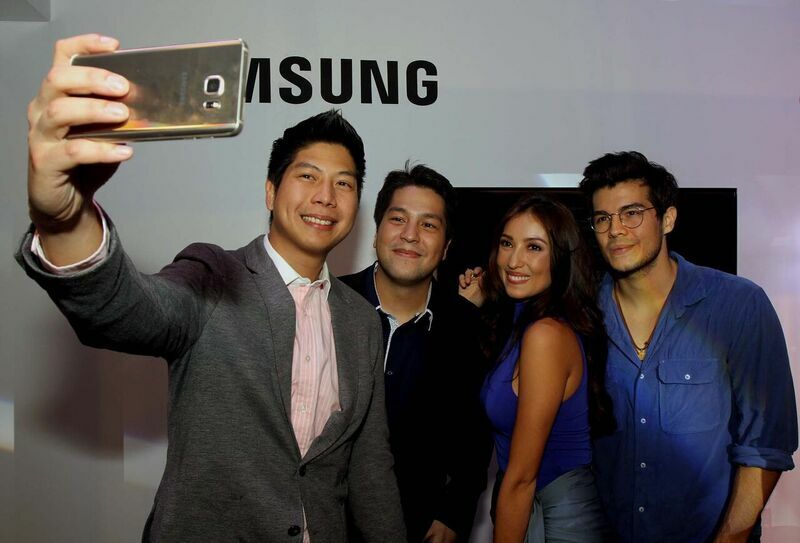 Rhinn Piczon, Product Marketing Head for IT & Mobile Business pose with the Samsung ambassadors Gino Quillomar, Solenn Heussaff, and Erwan Heussaff. 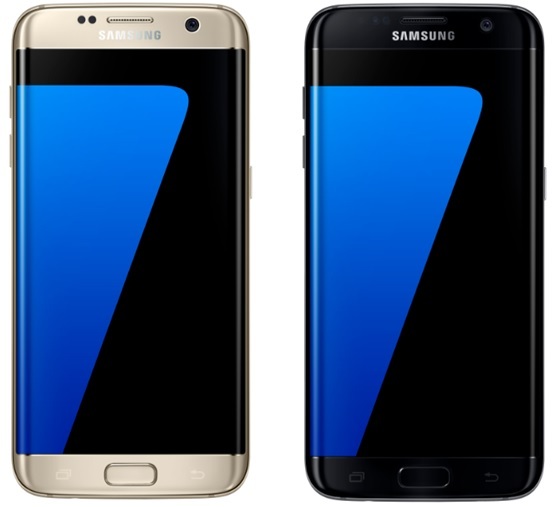 The Samsung Galaxy S7 edge and S7 have been designed to give users a worry-free experience, with a base memory of 32GB expandable up to 200GB so that precious memories on videos and photos no longer have to be deleted. out-of-this-world visuals on the Gear VR. 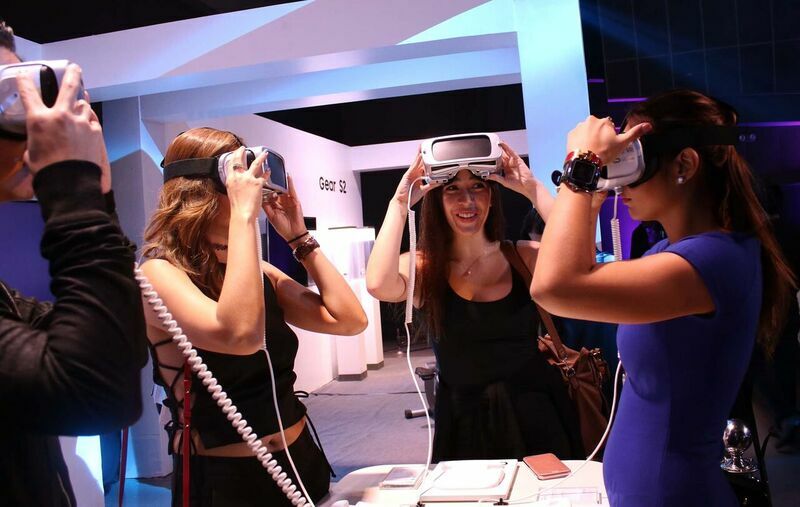 With its accelerometer and gyroscope, the Gear VR promises a 360-degree, out-of-this-world, immersive viewing and gaming experience, and lets its consumers experience multimedia content like never before. Through the Oculus Store, gamers can download hit mobile games that can be played via the Gear VR such as Temple Run™. Movie buffs can also live in the world of their favorite movies right on their couch by browsing through the expansive movie selection of Netflix. 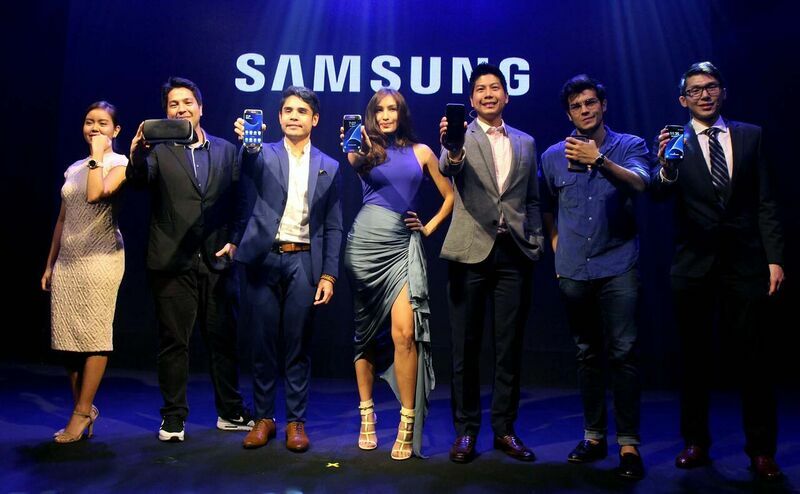 Samsung introduces better Galaxy ecosystem: Ien Rivera, Category head for Tablets, Wearables & Accessories, IT & Mobile business, Gino Quillamor, Nio Judalena, Category Head for Smartphones IT & Mobile Business, Solenn Heussaff, Rhinn Piczon, Marketing Head for IT & Mobile Business, Erwan Heussaff, and Ivan Pua, Smartphone Category Head for IT & Mobile Business. To elevate their Galaxy S7 edge and S7 experience, owners of the smartphone can enjoy automatic enrollment to the Samsung Concierge Service, a VIP program exclusively for Galaxy S7 edge and S7 users. Owners can enjoy premium experience at Samsung Experience Stores, VIP phone pick-up service for repairs, their very own VIP hotline, and exclusive offerings via the MySamsung app. 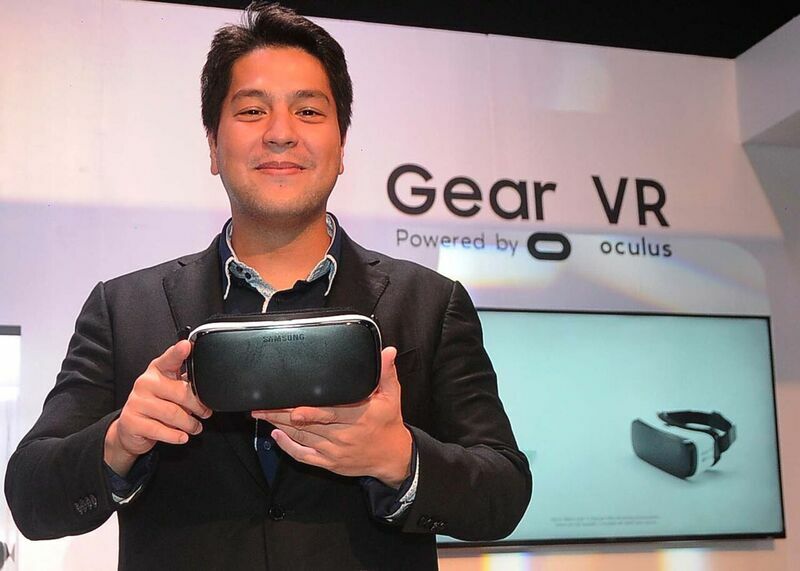 The Samsung Gear VR will be available at Samsung Experience Stores starting February 26, 2016. The Galaxy S7 and Galaxy S7 edge will be available starting mid-March 2016 globally and on March 19 in the Philippines. Meanwhile, you may pre-view and experience the Galaxy S7 edge and S7 at Samsung Experience Stores from March 4-16.